Give your imprint a change of scenery! Panoramic world landscapes really heighten the accompanying Bible verses to their full effect. Quotes from the New International Bible provide a visual and thoughtful religious experience. The vivid full-color imagery provides your church or company with a full 13 months of advertising exposure. Made with high gloss, UV-coated paper that does the photographs justice. 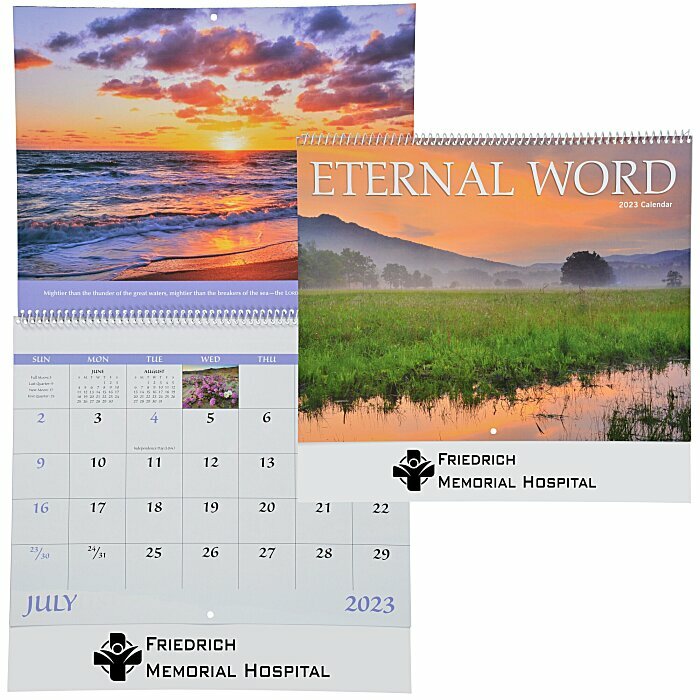 Perfect promotional tool for faith-based nonprofits, hospitals, churches and other religious organizations. Envelopes are available for an additional charge; please indicate the quantity desired in the additional comments section during the ordering process. Your price includes a one-color imprint on the front of the calendar.